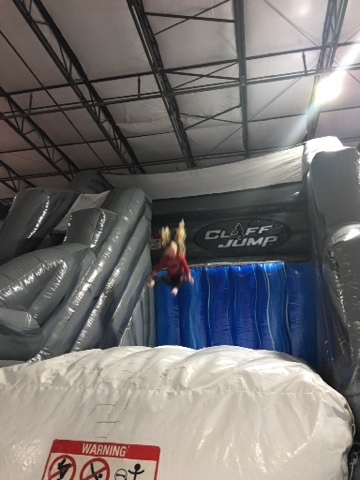 MayLee's preschool went to Jump and Bounce for their field trip, I got this one and only photo of MayLee because siblings were invited and I was pretty sure Asher was the bravest two year old ever to scale the cliff jump. I sure had my hands busy running from each inflatable to the next hoping he would survive them. He did, so did MayLee. They both, actually, had a fantastic time.